Albania flags have changed very little since the first recorded design. The flag's primary colors have not changed at all, and while the details of the emblem have changed, the emblem's fundamental design has also remained consistent through all the years of the country's existence. 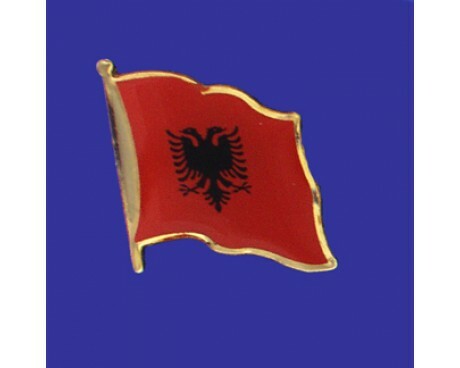 The national flag of Albania is a red flag with a silhouetted black double-headed eagle in the center. It is the only red and black flag of a recognized sovereign state. The eagle is the national and ethnic symbol of the Albanians and was used for heraldic purposes during the Middle Ages by a number of Albanian noble families, including the Kastrioti, whose most famous member was George Kastriot Skanderbeg. The Kastrioti's coat of arms, depicting a double-headed eagle on a red field, became famous when he led a revolt against the Ottoman Empire that resulted in brief independence for some regions of Albania from 1443 to 1478. It is generally thought that the eagle derived from the double-headed eagle of the House of Palaiologos, one of the ruling dynasties of the Byzantine Empire. 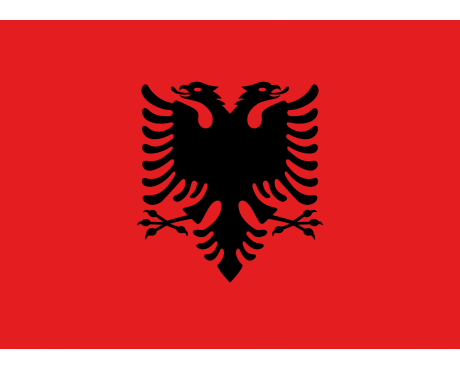 Albania flags feature a solid red field emblazoned with a double-headed eagle in black. 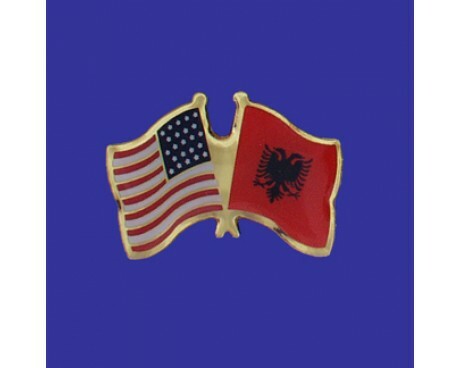 The double-headed eagle has been a symbol of Albania and its rulers since the medieval period. The Albanians most likely took the design from Roman banners, where it represented the power and glory of the Roman Empire. The flag's red field represents strength, courage, and valor on the field of battle. The story of the Albanian flag begins with the banner of the Eastern Roman Empire, which ruled over Albania for much of the nation's early history. 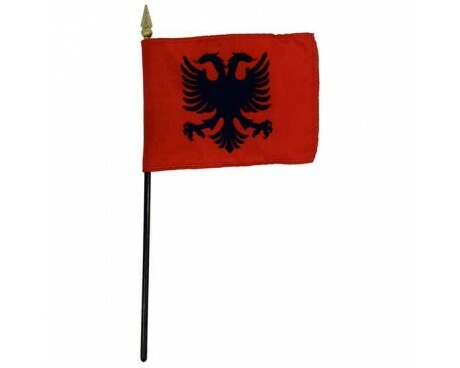 The Emperors represented themselves with red banners and double-headed eagles, and the nobility that came to rule in Albania during the later days of the Roman Empire adopted those symbols for themselves. They remained a symbol of Albania even after the nation was absorbed into the Ottoman Empire as it expanded into the Balkans. An Albanian nationalist movement formed in the 19th century that worked towards Albanian independence. The movement represented itself with a banner that resembles the modern flag, and a slight variation on the movement's flag that included a white star above the eagle came into use when Albania attained its independence in 1912. A new variation on the flag was introduced in 1914. It resembled the old flag, but it displayed the eagle in greater detail and colored the bird's feet and beaks with gold rather than the pure black found in most other designs. The flag changed slightly once again in 1920 when the star above the eagle was removed from the flag. The design reverted back to a pure black eagle in 1926, and a crown was added to the design to represent Albania's king in 1928. Albania was occupied by Italy during 1939, and the Italians introduced yet another variation on the flag's design. The Italian occupation gave way to communist rule in 1944, at which point a crossed hammer and sickle were added to the canton. The flag was stripped of all communist symbols in 1992 and the shade of red was lightened to create the modern flag.